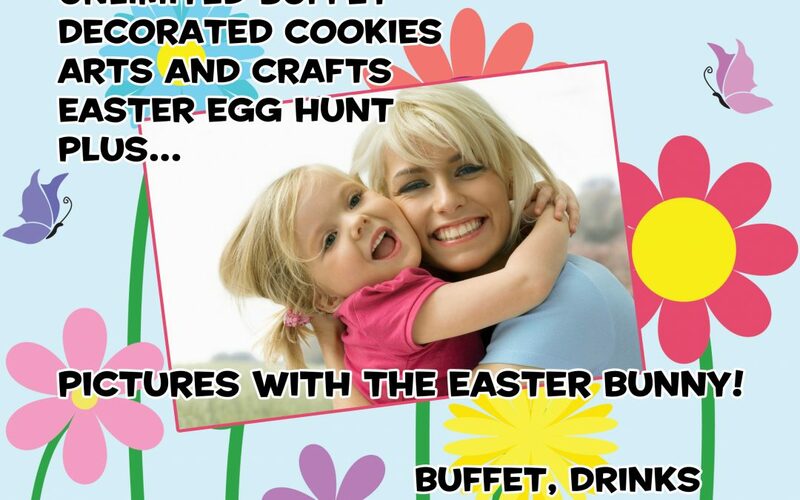 Mommy & Me- Easter - Incredible Pizza Company - Enjoy our huge all-you-can-eat buffet, indoor Go-Kart Races, Bumper Cars, Route 66 Mini Golf, a huge video game arcade with prizes, Bowling, and more! We’ll be celebrating all things Easter during April’s Mommy & Me event on Wed., April 10! The fun begins at 11:00 a.m., and Mommies and Toddlers will spend time decorating cookies, doing arts & crafts, hunting Easter eggs and taking pictures with the Bunny! It’s sure to be an Eggs-travaganza! It’s just $10 per person and includes the unlimited buffet, drink, $5 game card and all the fun stuff for each guest. Kids 0-3 years are free with a paid adult. Please RSVP on our Facebook events page, so we’ll have plenty of goodies!